I am married to my best friend Jay and we have three BEAUTIFUL daughters, Christy and twin daughters, Jennifer and Julie. I have four WONDERFUL granddaughters – Savannah, Addison, Breanna, and Ella. All my girls – big and little – light up my life and make it joyous. I live in a little town called North Chili, New York – about 20 minutes outside of Rochester, NY. I fell in love with Stampin’ Up! the minute that I made my first card and knew I just had to have everything in the whole catalog and years later, I still enjoy cardmaking and paper crafting and am blessed beyond measure to be able to share this love with my family and friends. 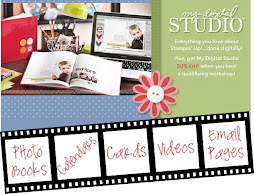 I have a wonderful downline who loves to get together and have fun and share their projects and inspiration. I hope you enjoy my blog and thank you for letting me continue to share this wonderful skill and hobby with you! I would love to hear from you!